Enter your email address below to receive a notification when Toy Box On The Go LLC starts accepting new sign-ups! 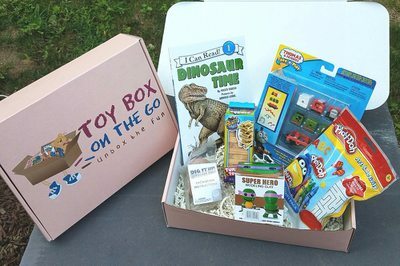 Enter your email address below to receive a notification when Toy Box On The Go LLC is accepting new sign-ups again. 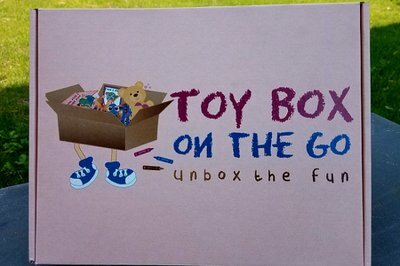 Toy Box On The Go - Unbox The Fun! 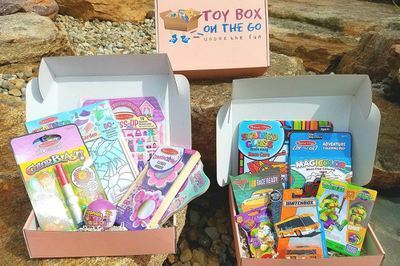 Toy Box On The Go will arrive at your door monthly ( or as a one time purchase) to surprise your little loves with fun & educational toys/books/blind bags/crafts & more! Choose from Boys or Girls. 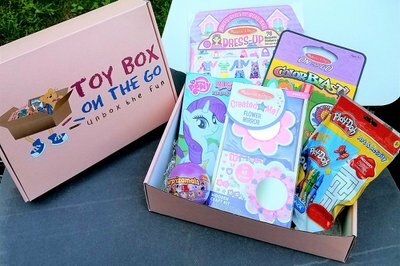 A box full of fun will arrive at your doorstep putting that BIG smile on your little one's face! 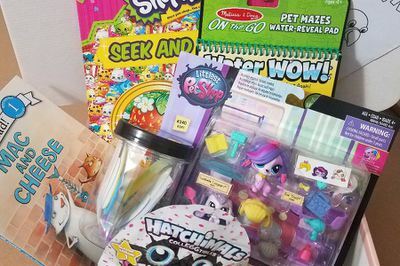 Its a great surprise kids love to receive! 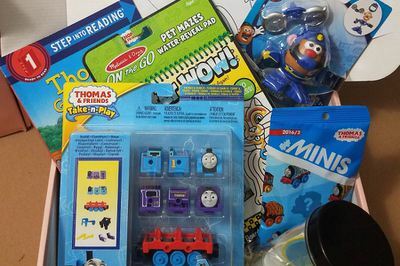 *Great to send as a gift ! 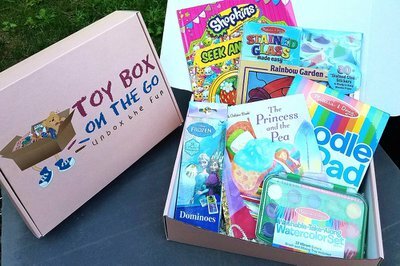 *FREE tote with coupon code: unboxthefun So you can carry and take the fun with you! 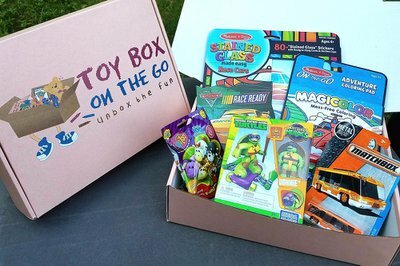 This is such a great box! 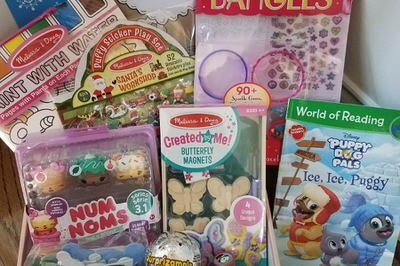 There is always crafty type things for the kids and things to keep them busy and screen free! 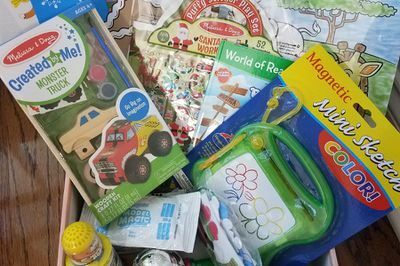 There is always a lot of thought and a little something for parents included!